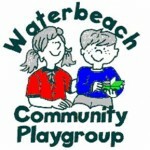 We follow the term dates for Waterbeach Community Primary school so there may be additional teacher training days added we will let you know of any changes via newsletters, email and on our website or Facebook site. Please note, for all new starters an individual start date will be arranged with you during your induction meeting with your child’s key person. If you have any questions, or wish to change or reconfirm your child’s start date please call Jacqui or Fiona on 01223 440769.